Are you downsizing or selling? Or moving to independent or assisted living? 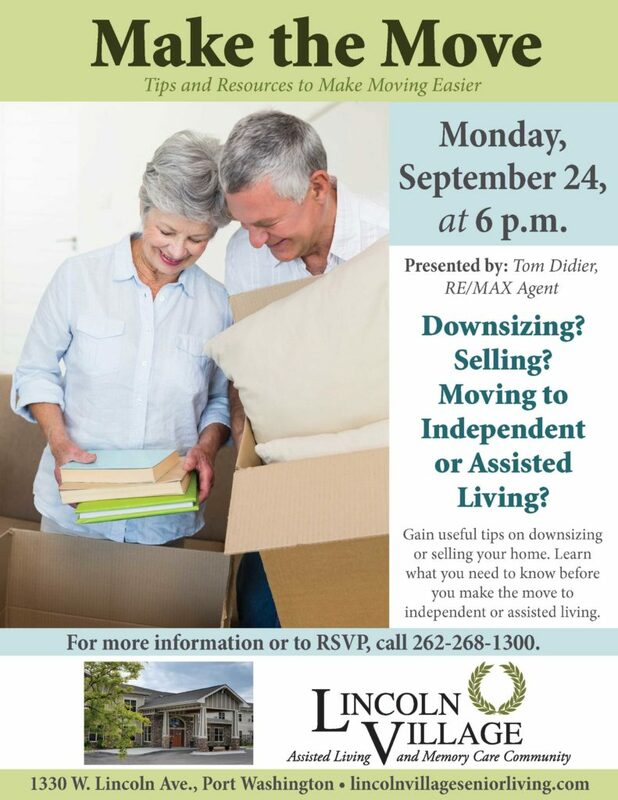 Then come to Lincoln Villageand gain useful tips on downsizing and selling your home from RE/MAX agent Tom Didier. You’ll also learn what you need to know before you make the move to independent or assisted living.